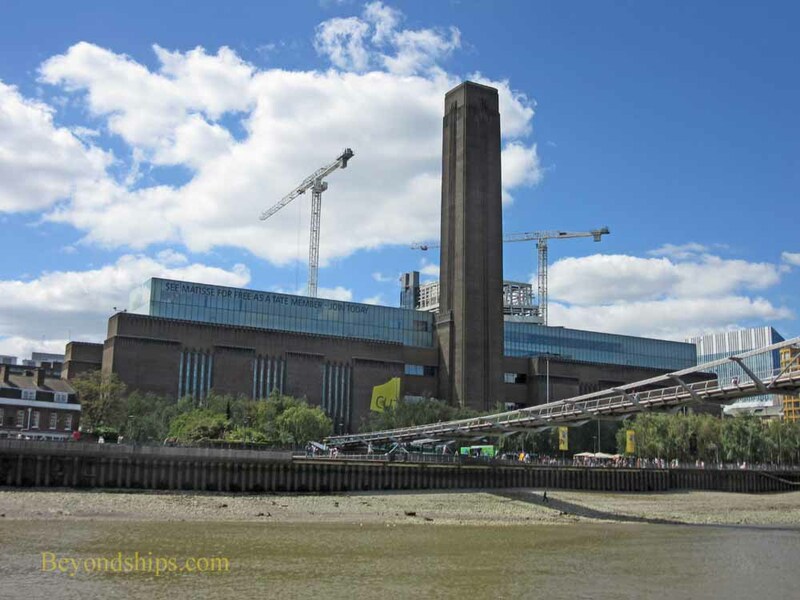 The Tate Modern is a relatively new addition to London's list of museums but within a short time it has become one of the most popular. The museum is housed in the former Bankside Power Station, which closed in 1981. The grounds surrounding the old power station have been landscaped with trees and other plants. Meanwhile interior has been completely renovated to create a vast space for the Tate's collection. There is nothing pretty about the exhibit space. Rather, it is functional, severe and unembelished, echoing the attitude depicted in many of the works. The collection is also quite vast. As the museum's name indicates, it focuses on what is referred to as “Modern Art” - - essentially schools that flourished in the first three-quarters of the 20th century often involving abstraction. A not-to-miss part of a visit to the Tate Modern is the view from the balcony of the cafe. 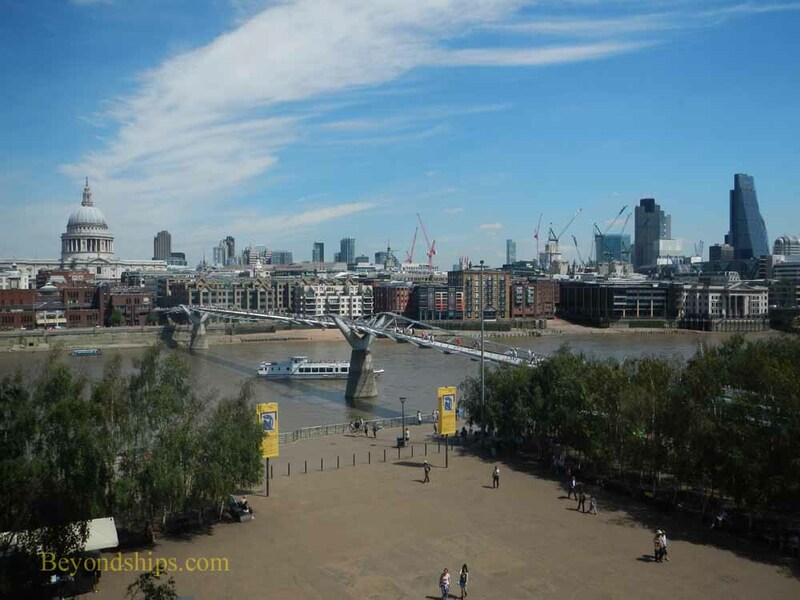 From there, you can see a panorama of the Thames, the Millennium Bridge, St. Paul's Cathedral and the City of London. A diagram attached to the balcony railing identifies the various landmarks. Located on the South Bank of the Thames, the Tate Modern is along the Queen's Walk. It is thus convenient to the Shakespeare Globe, the Southbanke Centre and other attractions on the south side of the river. (See article). 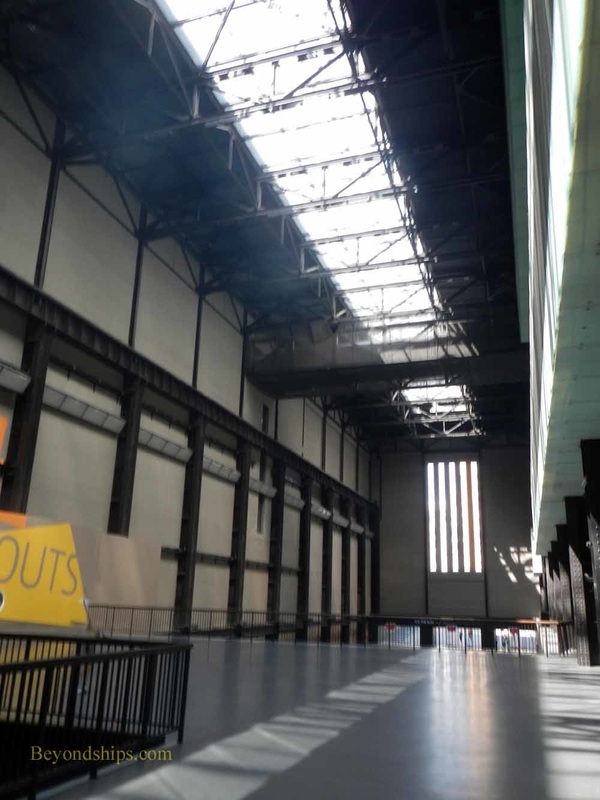 The Tate Modern is open daily except 24, 25 and 26 December. Admission is free although there is a charge to visit the various special exhibits. For more information, visit the Tate Modern's website. Below: A view from the balcony.